For maps and more information: 916-486-2773; On the banks of the beautiful winding American River, once home of the Maidu Indians, is written the course of California's history. A necessity for settlers and farmers, an adventure for gold seekers and home to diverse flora and fauna, it is one of the few remaining riparian habitats in the state. The focal point for all of this, the lovely American River Parkway, is enjoyed by 8 million visitors annually. 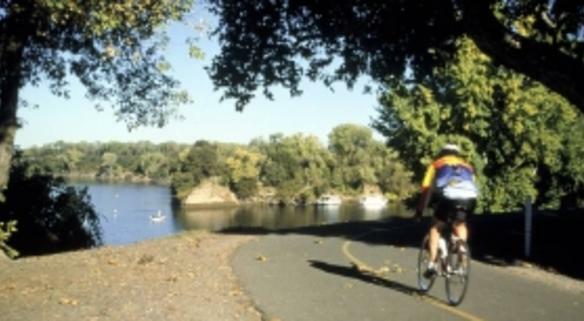 A 23-mile river system through Sacramento with bicycle trails, walking and jogging trails, horse trails, picnic areas, rafting, fishing and more. There are 82 miles of maintained trails along the American River Parkway. Numerous access points available with parking.